Job seekers may have several types of deductions available to them for the expenses associated with their search. The catch to these deductions is that they are only available to job seekers who are looking for work job in their current field and who have related expenses that exceed two percent of their income. Taxpayers may only deduct the costs associated with their job search if they sought a job in their current field. The taxpayer does not need to be unemployed when searching for a new job. Job seekers looking for a job in a new career field, looking for a job for the first time or who have a lengthy break between their last job and their search cannot deduct their expenses. 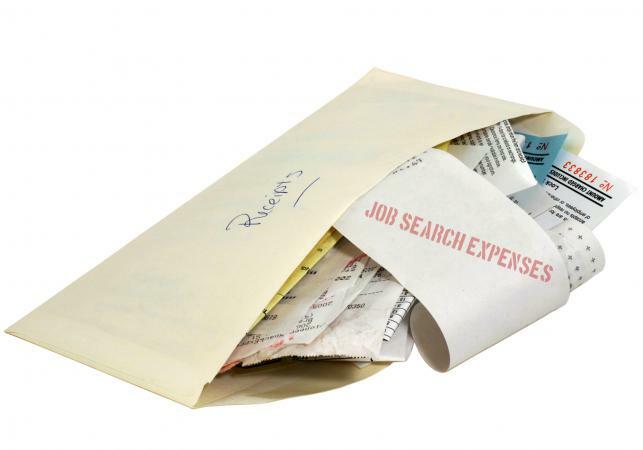 The IRS categorizes job search expenses as miscellaneous expenses. As such, they must be itemized and exceed two percent of the taxpayer's adjusted gross income (AGI) before they are deductible. Even then, only the percentage exceeding the two percent minimum is deductible. To determine whether your expenses satisfy these requirements, multiply your AGI by two percent (.02). The result is the minimum that you must meet to deduct your job search expenses. Next, add together the total amount of your expenses. If they are larger than the minimum deductible amount, you can claim the difference between the minimum and your total costs. For example, if your AGI was $40,000, you would need more than $800.00 in expenses. If you spent a total of $1,000 in job search expenses, you can deduct $200.00. Page five of IRS Publication 529, titled "Miscellaneous Deductions" contains information about the types of tax deductions available to job seekers. The publication explains the requirements for specific job search deductions as well as the available amount of the deduction. Resume Writing, Copying and Mailing Costs: The expenses associated with creating and sending resumes to potential employers is deductible. This is available regardless of whether the taxpayer hired a resume writing company for the job. Paper, envelopes, printer ink, copying expenses and the costs of stamps are included in this category. Although Publication 529 is silent on this issue, it is presumable that the IRS would also allow taxpayers to deduct the costs of any additional paperwork or mailings required to be submitted with a resume would also be deductible. Therefore, the expenses of copying reference letters, portfolios or other similar documents could likely be deducted. Phone Calls: If you use your primary or cell phone to search for a job, you can deduct a percentage of the cost of having the phone. To do so, calculate the amount of time you spend on the phone searching for a job versus time spent for personal reasons. The result is deductible. Employment Agency Fees: If you, and not your employer, pay an employment agency for your placement, you can deduct the entire amount of those fees. However, if you are later reimbursed by your employer, you must include the amount you receive as income. Travel and Transportation Costs: If you travel for a job interview or to find a job in a different city, you can deduct the costs of travel and other expenses associated with your trip. These expenses, however, are only deductible if your trip had a primary purpose of finding a job. You can combine business with pleasure, meaning that you can enjoy the sights while looking for a position. However, the amount of time you spend doing so must not exceed the amount of time you spend looking for a job. To determine whether you are eligible for this deduction, compare the amounts of time you spent on pleasure and job searching while away from home. Child Care Expenses: If you can prove that you hired a babysitter or paid other child care expenses so that you could look for a job, you can deduct the cost. You can only hire the sitter so that you can engage in your job search. For example, the cost of hiring a sitter so that you can rewrite your resume or go on an interview may be deducted. All taxpayers should retain receipts of their job search expenses to prove their validity. Of course, keeping receipts also helps with calculating the amount of your expenses at the end of the year. Seek professional advice if you are unsure about whether you are entitled to job search tax deductions.